This elegant Cottonwood Heights town home is the ideal property for first homebuyers, or anyone looking to downsize to a more manageable space. Set within a beautiful neighborhood, World-class skiing and hiking trails are just minutes away. The Chinese have declared 2017 the year of the Rooster, and fortune and prosperity are sure to be yours with this property’s bold red timber entrance. Maximizing all 1200 square feet of its space, this town home features two bedrooms and two bathrooms on the upper floor, and a light-filled kitchen, dining and living area below. The kitchen boasts knotty alder cabinets, granite counter tops and plenty of storage, including a conveniently located stackable laundry, for the consummate multi-tasker. The adjacent and generously sized dining area will accommodate various furniture, while the living room is an inviting space, with its feature corner white and gray fireplace, plush carpeting and wrought iron balustrade. Both bedrooms feature Shaker-style, white wooden, sliding wardrobe doors to maximize space and impart a modern elegance. The bathrooms are bright and offer plenty of storage. Beautifully remodeled five years ago, you can simply move in, knowing everything has been taken care of, so your time and energy can be better spent, exploring the local area. Or perhaps you might consider a landscaping project while relaxing within the private patio area with its small deck, facing west and sheltered beneath a mature Cottonwood tree. The shady canopy is just the spot to laze beneath, to appreciate and enjoy the vast open space behind the complex. Picturesque Cottonwood Heights is regarded as one of Salt Lake’s finest and most beautiful neighborhoods, and for good reason. It is a welcoming, safe and maintained community with plenty of nearby dining, shopping and recreation. As an added bonus, local residents are invited to apply for membership at Cottonwood Heights Recreation Center, with seven swimming pools, two large water slides, an Olympic-sized ice arena, skate park, indoor track, basketball, racquetball and tennis courts, sauna and jacuzzi, and over 80 fitness classes per week. All of this and more with the majestic Wasatch mountain range as your backdrop. So when would you like to move in? Don’t miss out on this lil’ piece of wonder set within an idyllic neighborhood. 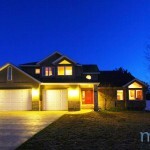 Call Cathy on 801.244.5827 to schedule your viewing.